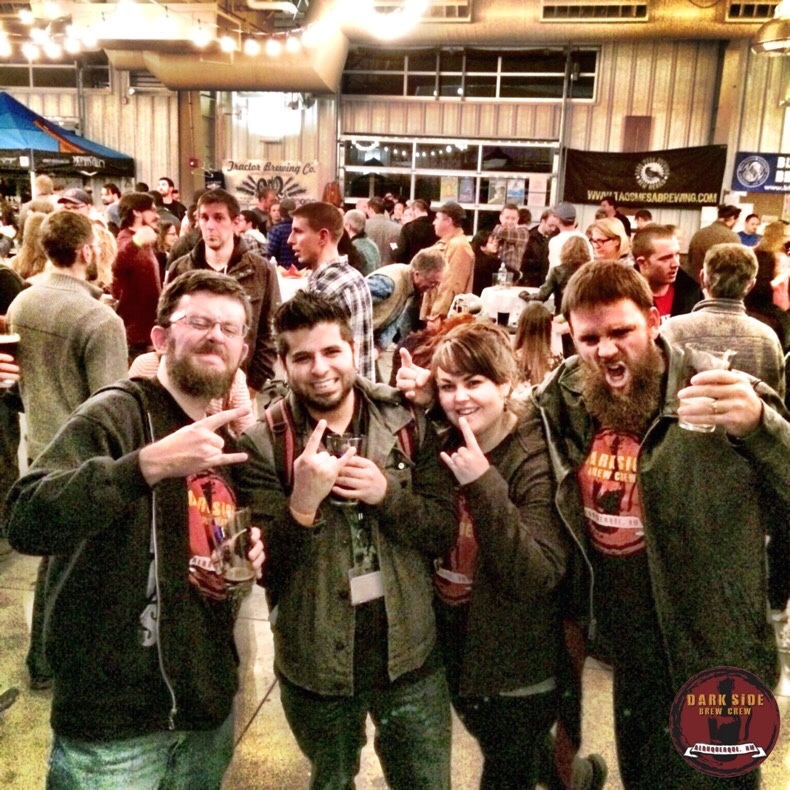 WinterBrew 2015 was an epic fest for the ages! The group toast at WinterBrew, which was a blast of a festival once again. It’s been a week now, and the dust has finally settled on another successful WinterBrew. 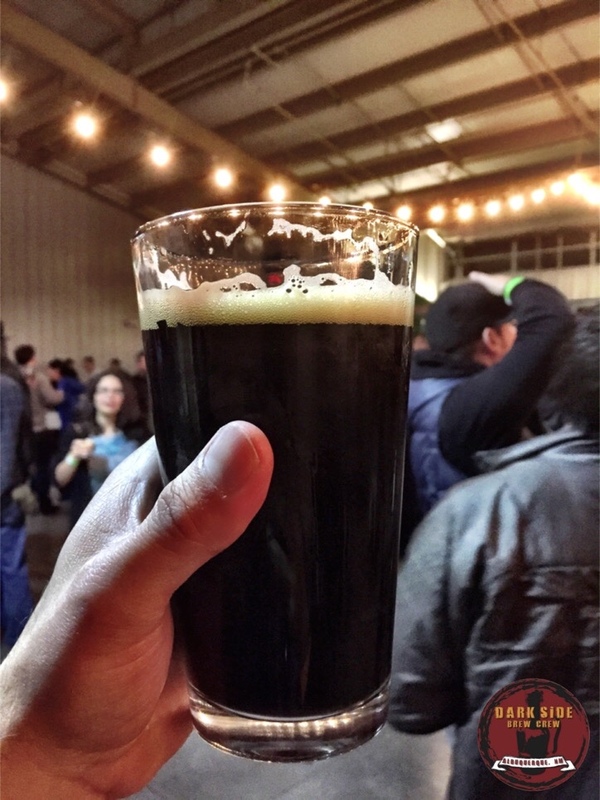 New Mexico beer enthusiasts have been back, hard at work, with memories (hopefully) of many great beers, plenty of new friends on their Facebook rosters, and a slew of crazy pictures on their cellphones. 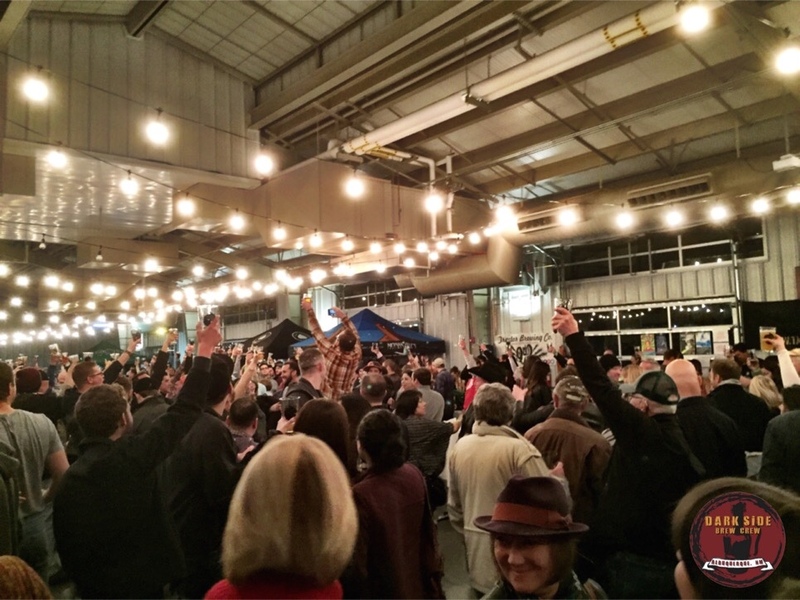 From the beer, to the food, to the superbly decorated booths, all breweries, cideries, and vendors really brought it to make this year’s sold-out WinterBrew one of the finest festivals to date. Typically, WinterBrew tradition holds that the shattering of the first glass on the concrete floor marks the beginning of the end. Usually, it signifies the start of the slow and steady march of festers through the doors, on their way out to find their cabs and DDs, to head home to warm beds and/or warm pizzas. That’s usually around 8:30 p.m. But not so on Friday. This year’s festival of foam began with a crash. 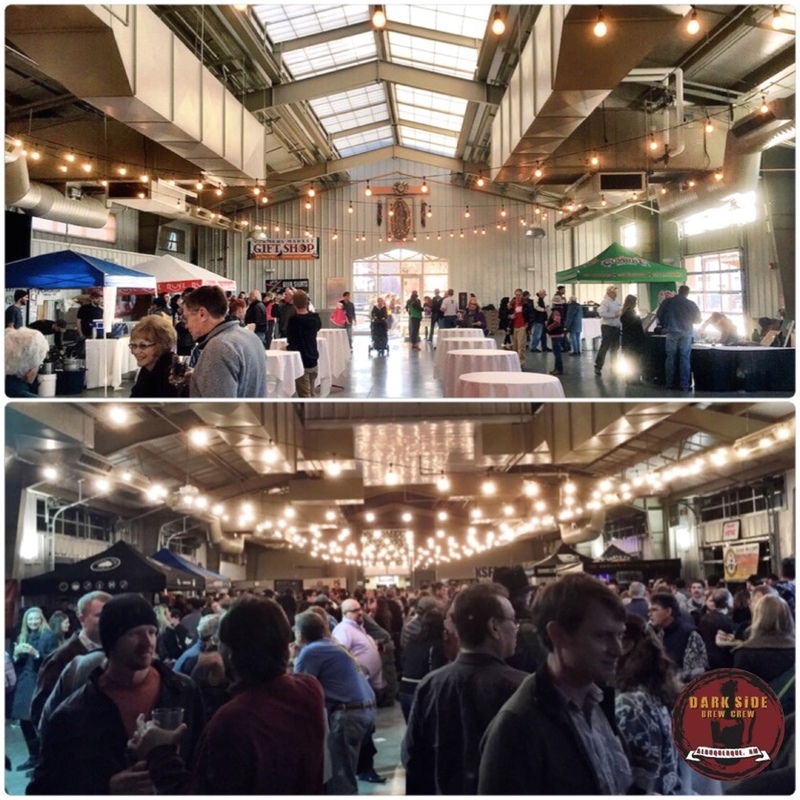 It was the crowd’s chorus of “Ooohhhhs!” that ushered in the celebration of beer beneath the string-lit ceilings of the Santa Fe Farmer’s Market. It was 4:18 p.m., and already I knew this was going to be one for the books. It’s like a table of armaments. The night was filled with many memorable and surprising moments from New Mexico’s finest craftsmen. One such moment was when Santa Fe Brewing Co. poured their Black IPA, but not from just any old tap handle. This brew had just been run through fresh hops and poured from the one of the spouts of R2Beer2. Half-robot, half-Randall, it’s exactly the droid you’re looking for. Now that’s a proper use of technology. I’m inclined to agree. 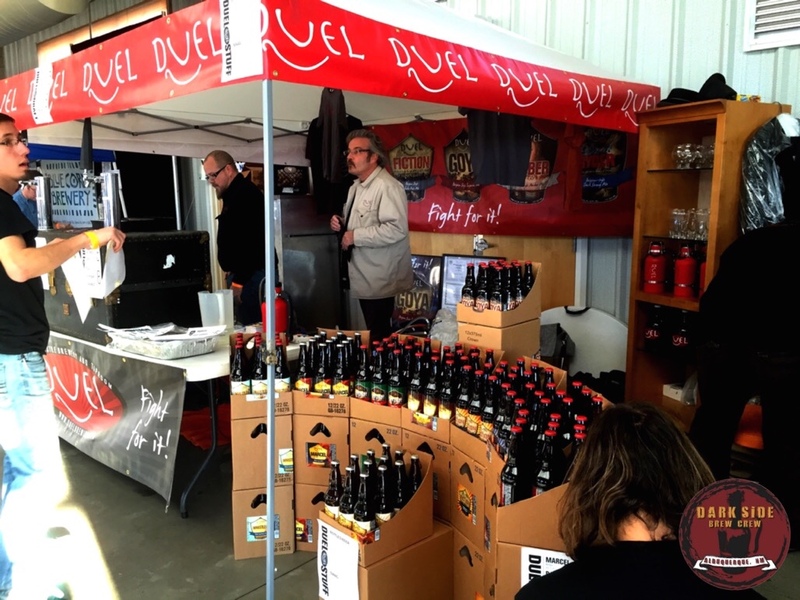 Another great presence was Duel’s display of packaged goods. It was like walking into a bottle shop with only the good stuff on display. For festers, the artisans at Duel talked brewing and barrel-aging, and poured special brews for only those in the know. If you managed to get a taste of the Stille of the Night, let us know what you thought. Duel brought out the swag and the beer. The next memorable moment came through a door. It was a door, actually—a Red Door. Their clever booth was a sudden, but welcome reminder that we had some newcomers to the fest this year, and they were as excited to be there as we were to see them. 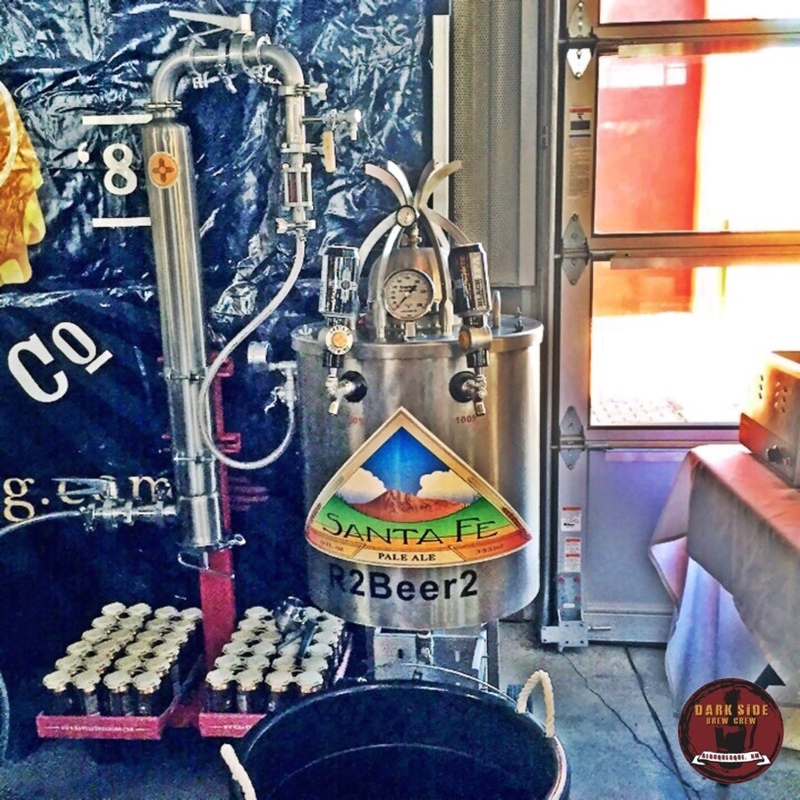 Red Door, Ponderosa, and Boxing Bear have already done some Albuquerque events, but each brewery was in great form that night and came ready to serve Santa Fe’s savviest suds-sippers. The newcomers all had a blast at WinterBrew. 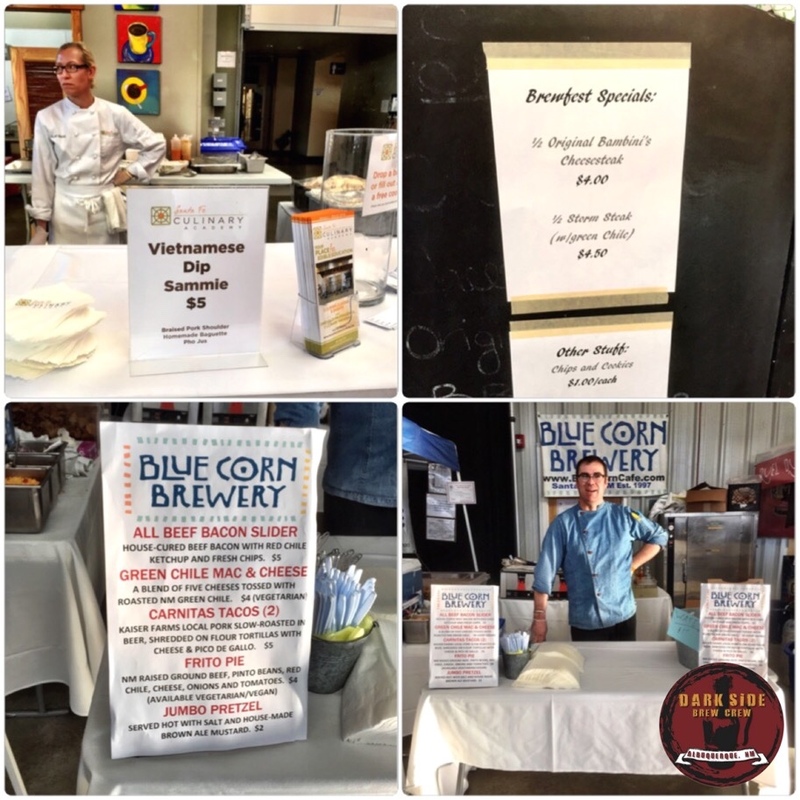 Some Veterans to WinterBrew brought tons of great core brews and a handful of specialties that kept your taste buds on their toes. 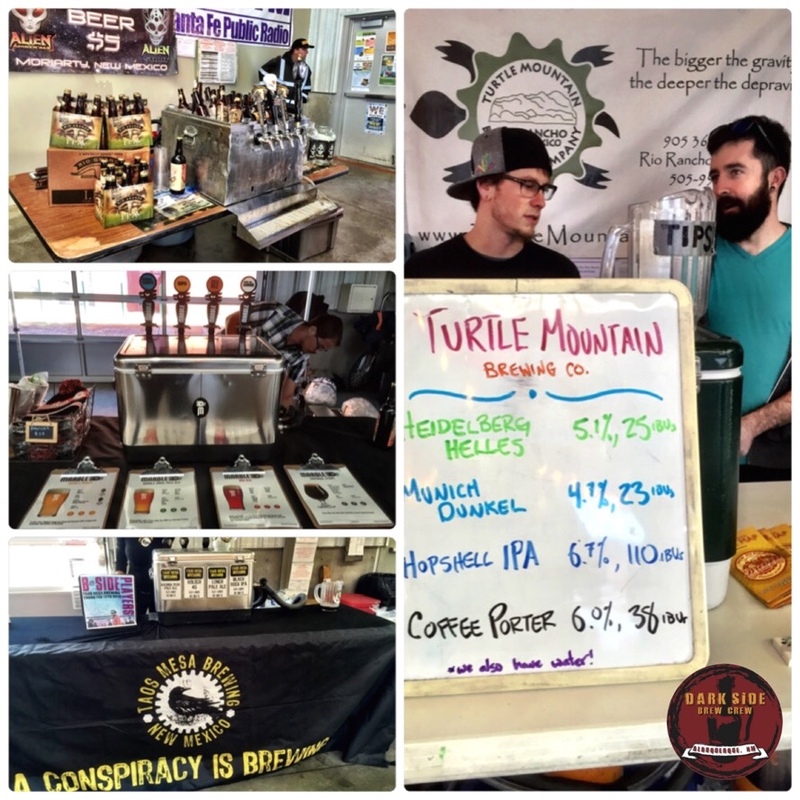 Breweries like Sierra Blanca/Rio Grande, Marble, Turtle Mountain, and Taos Mesa did not disappoint with their showing, representing very different breweries with very different beer styles. 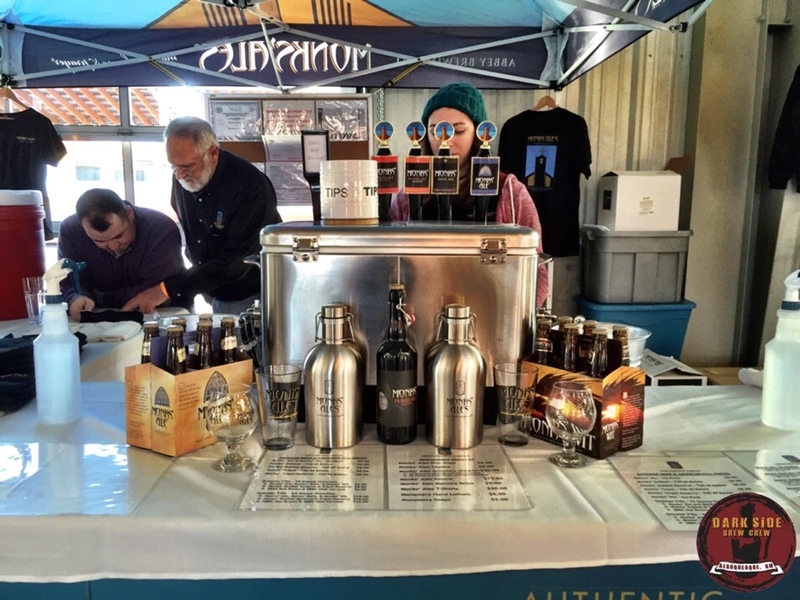 WinterBrew veterans brought a wide swath of beer styles. Many brewers brought a solid string of samples, but some absolutely flooded their chalk signs and dry-erase boards with specialty beers and were certainly not stingy with the ABV. I think the award for most beers brought to the festival had to go to Bosque Brewing with Second Street, Duel, and Santa Fe Brewing close behind. 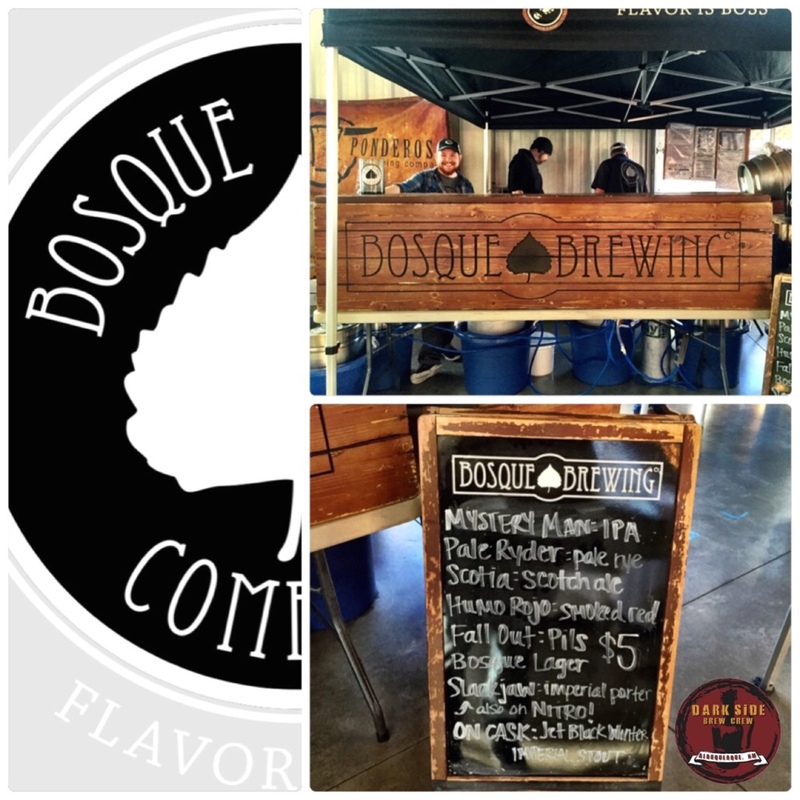 With beers ranging wildly across the styles, from Jet Black Winter Imperial Stout on cask, an Imperial Porter on nitro, and a Red so hot it was smokin’, Bosque had really put forth the challenge in a high-noon-style shoot-out. It was only a coincidence, then, that getting a taste from them was like moseying up to a bar in a South-Western saloon with their wood paneled booth. A+ for design, hombres. Bosque brought more beers than you could shake a stick at. Abbey Brewing Co. arrived with some delicious special reserve versions of their Dubbel and Tripel, but it was their Dark Ale that threw me off my game. I don’t know what it was, but it wasn’t the same beer that I’d gotten to know only months before. But that didn’t stop me from enjoying much of everything else they had to offer. The folks at Abbey Brewing had a few tricks up their sleeves. Blue Corn was up to their usual antics, but waited to release their last beer until the most opportune moment (See: Pirates of the Caribbean). They actually let me choose which beer to pour. I chose the Gee-Eyed Stout, because, in my opinion, a traditional Dry Irish Stout was going to be much different than the many Russian Imperial Stouts available (which was the other option). My thinking was that at 4.0-percent ABV, that beer would make more of a consumable pint, than a potential compromising situation. And besides, it was so good! 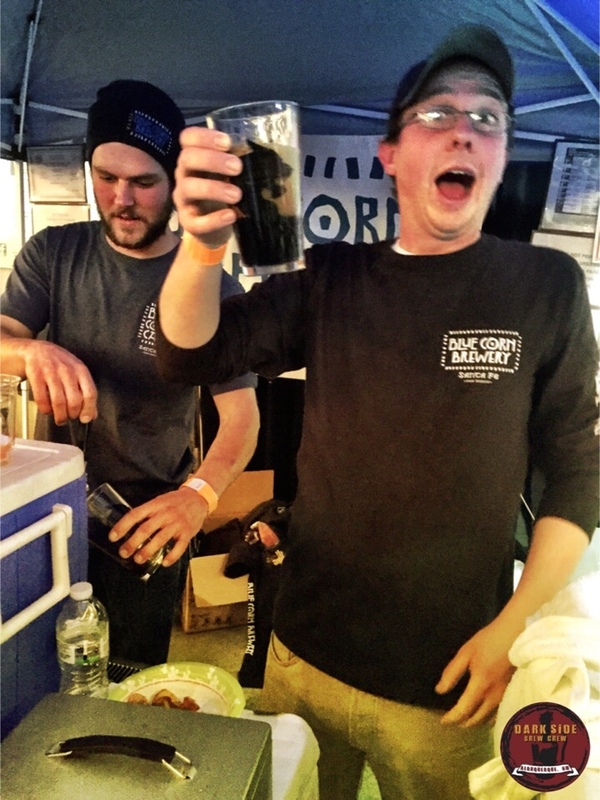 Blue Corn brewer James Warren was excited to pour some Gee-Eyed Stout. Plus, there were so many Imperial Stouts to try, that if you managed to try them all, you’d need a full meal, a long nap, and a pot of coffee just to carry on coherently. A whole Mardi Gras’ worth of pretzel necklaces couldn’t save you from this sort of Russian tap takeover. Someone even asked me if the Guild had declared a Russian Imperial Stout Theme, to which I couldn’t answer honestly. By the way, thank the beer gods there was food. For your ‘maunching’ pleasure, there were Bambini’s famous Cheesesteak sandwiches, All-beef Bacon Sliders and other tasties from Blue Corn, and Vietnamese Dip Sammies served by a lady much nicer than my picture depicts. There were plenty of good eats. 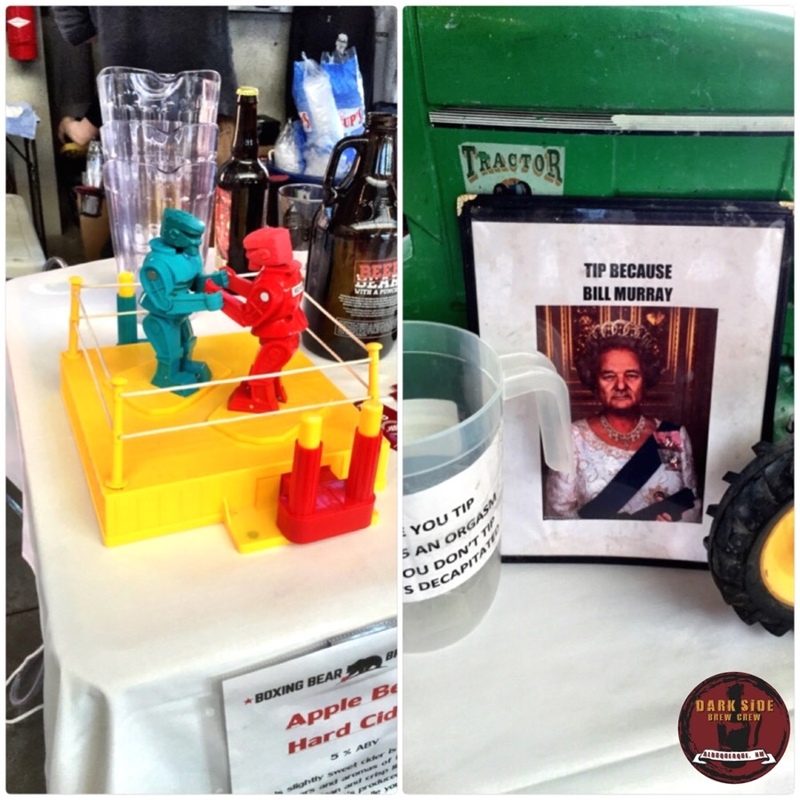 From Rock ‘Em Sock ‘Em Robots with Boxing Bear, to Bill Murray dressed like the Queen of England … there was no shortage of shenanigans to share in. I can’t wait to see what they do next year! A little extra fun was had by all. As always, I talked with a few people at the event to see what they were drinking and what they liked the best. Justin from Santa Fe was drinking the Dark Demon from Ponderosa when I bumped into him. His favorite beer of the night was either the Penasco Porter from Blue Heron or the Dark Demon, an Imperial Cascadian Dark Ale (a mouthful in every sense). 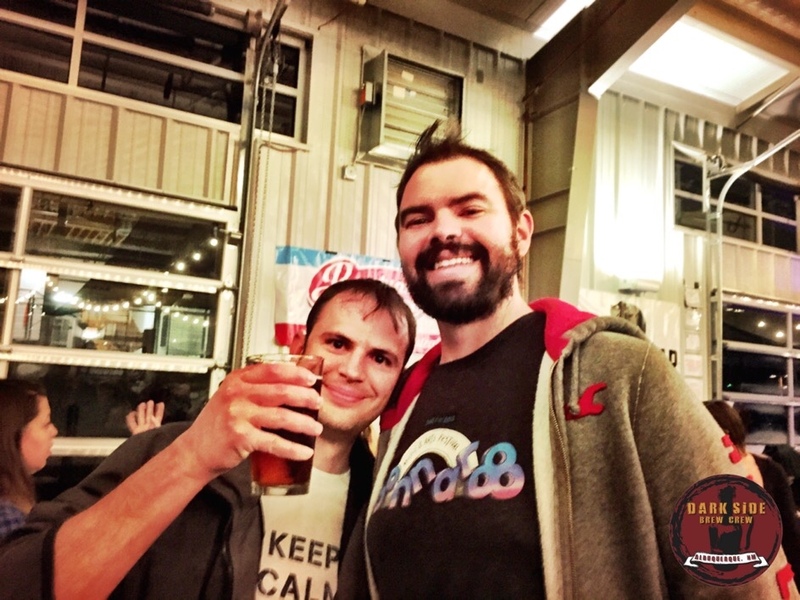 Jason from Colorado was drinking the Uppercut IPA from Boxing Bear. His favorite beer of the night was Santa Fe Brewing’s Black IPA, the beer he was drinking when he beat his buddy at Rock ‘Em Sock ‘Em Robots, one booth over. Lisa from Albuquerque was drinking the Wonder Weisse from Tractor Brewing Co., which was also her favorite beer of the fest. She said it was tart and refreshing, and not too sour. Good beer equals happy people. 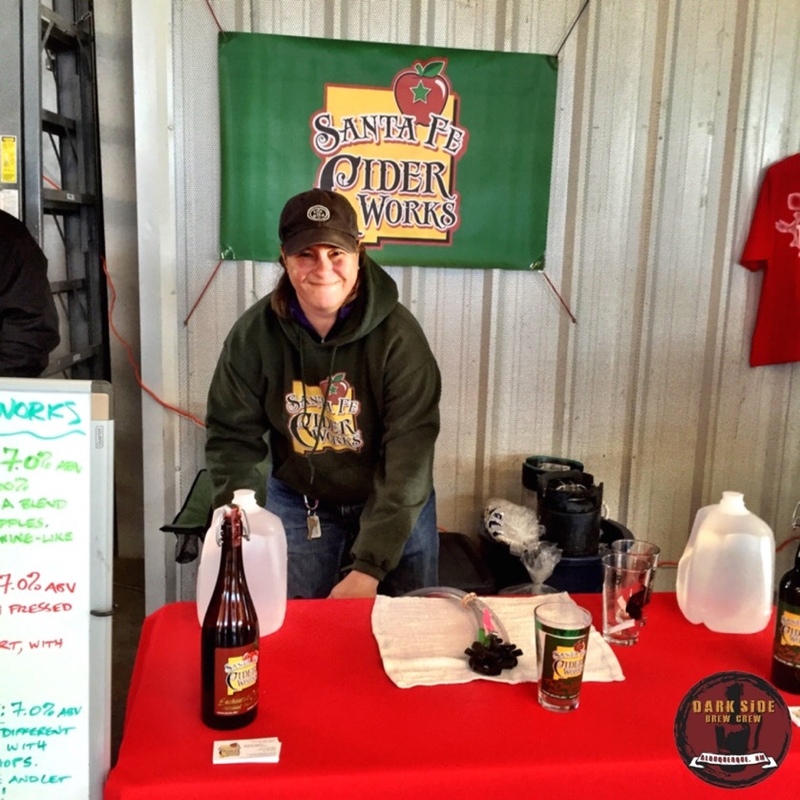 Mike Sanchez of Rio Rancho was surprised at how much he enjoyed the cider of Santa Fe Cider Works. He’s typically a beer guy, but that cider would not be his last. When you need a break from the beers. Margot, a self-proclaimed hophead from San Diego, said her favorite beers were the Fulcrum IPA and Pivotal IPA from Second Street, and the Red Ryeot from La Cumbre. That was one of my favorites, as well. 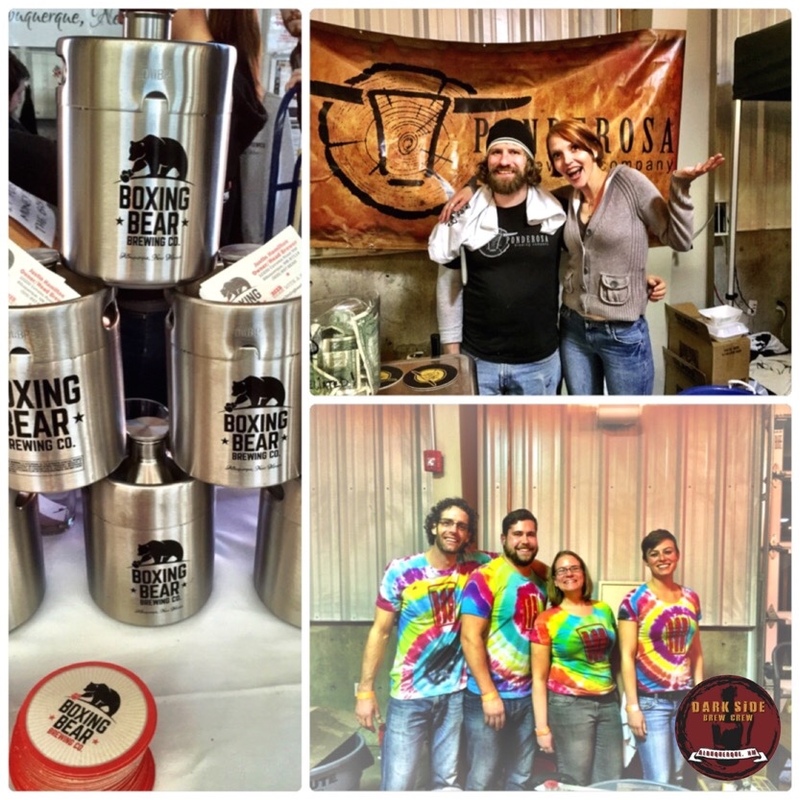 From start to finish, WinterBrew was a hit. 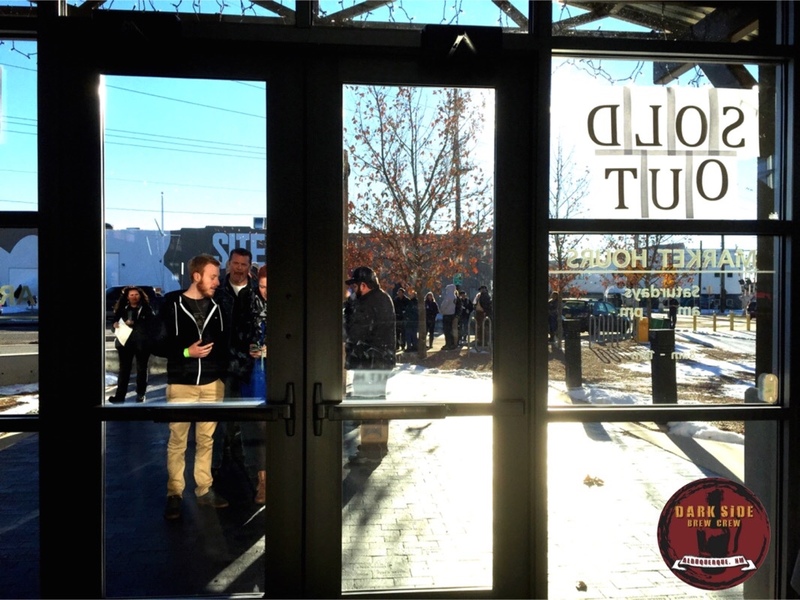 After the event, organizer and Beer Ambassador, Chris Goblet said, “WinterBrew 2015 was another exceptional event for NM Brewers Guild and for the patrons who attended. 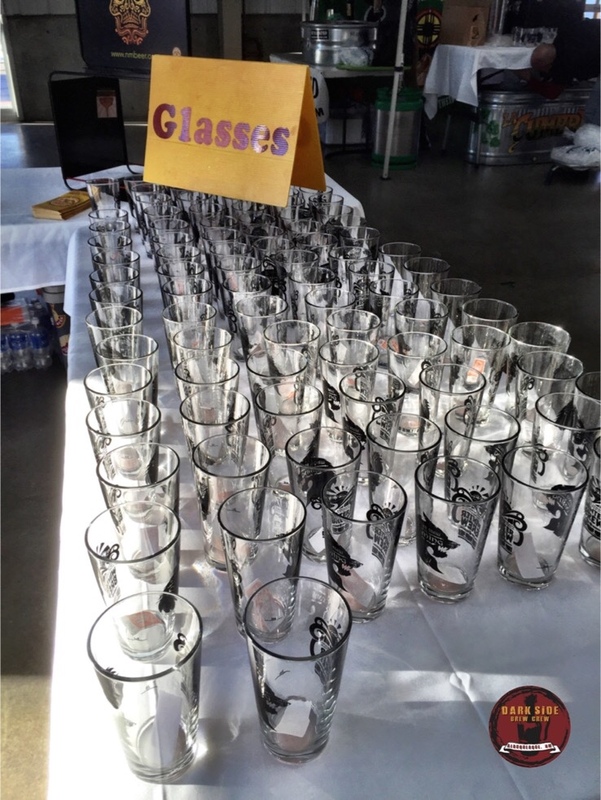 We did notice a few more pint glasses fell to the concrete floor, hopefully not because people disliked the designs. We had a bit of fun with the Game of Thrones theme, which is fair for us Santa Fe folks, since George RR Martin is a local resident. We hope he would agree. The only downside to the event for Goblet was that he didn’t get to make the rounds and sample as many of the beer as he had hoped to. But don’t worry, guys. He more than makes up for it the other 364 days of the year. The Crew in attendance, from left, Stoutmeister (open your eyes next time! ), Luke, Mrs. Solo, and Franz Solo. We had fun, if you can’t tell. Much of the fall and winter, we’d been warned that WinterBrew is coming, the posters promised. Well, WinterBrew came, it poured, it conquered our taste buds, and we’re all better beer drinkers for it. Much thanks to Chris Goblet and the New Mexico Brewers Guild for running yet another fun and memorable uprising in the name of craft beer. Well done, sirs. Well done, all. I’ve been to many fests now, but this time it felt different. Maybe because it was my first big fest writing for The Crew, but it felt like it was a gathering of all my newest close friends, under one roof. And I’m not just talking about the beers. Thank you all for showing up, and showing us that the Force is strong in our beer scene, and our New Mexico beer culture is only growing stronger with each raised pint. We’ll see you all at the next event. Until then, think globally, drink locally! A fitting end to another great festival. Stille was one of the nastiest beers of the fest. I don’t know where this still beer idea is coming from, but Belgian beers typically are highly carbonated, not flat as a board. But besides the obvious flatness of the beer, this beer was infected with something unpleasant. Does Duel have a tasting panel? It sounds like they need some experts to screen beer they are thinking of releasing to the public.